Two-time Grammy nominated and six-time GMA Dove Award winners Jeff & Sheri Easter will appear on “The Marty Stuart Show” this Saturday night, June 16th, at 7:00 p.m. CDT. The popular program, which was recorded in Nashville, will air on the RFD-TV Network. Jeff & Sheri performed their Dove-nominated song “Workin’ on a Road,” the duo’s rendition of this classic Lester Flatt tune found on their current project, Expecting Good Things. Stuart joined Jeff and Sheri for the number, creating somewhat of a “reunion” as Stuart and his wife, acclaimed vocalist Connie Smith, along with the show's host, Eddie Stubbs, also joined Jeff & Sheri in the studio for the recording of the song on the Expecting Good Things release. "We asked Marty to sing with us on this song because of his early years traveling with Lester Flatt and his obvious love for this music," says Jeff. "The longer I sing, the more I appreciate being able to make great music with such talented artists,” describes Sheri. “Performing alongside such legends seems to not only broaden my abilities as a performer, but it also enriches the emotion attached to each lyric." 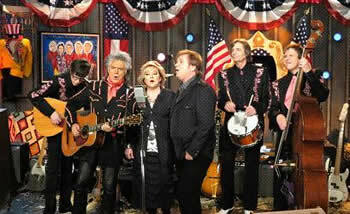 For further information regarding “The Marty Stuart Show,” visit www.rfdtv.com. 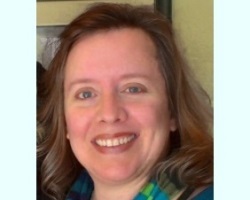 For further information regarding Jeff & Sheri Easter, visit www.jeffandsherieaster.com. 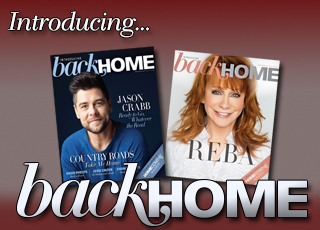 — Springhill Music Group Inc.
Click for more about Homecoming artists Jeff and Sheri Easter!